"We spent an amazing month with really interesting and lovely people from around the world. 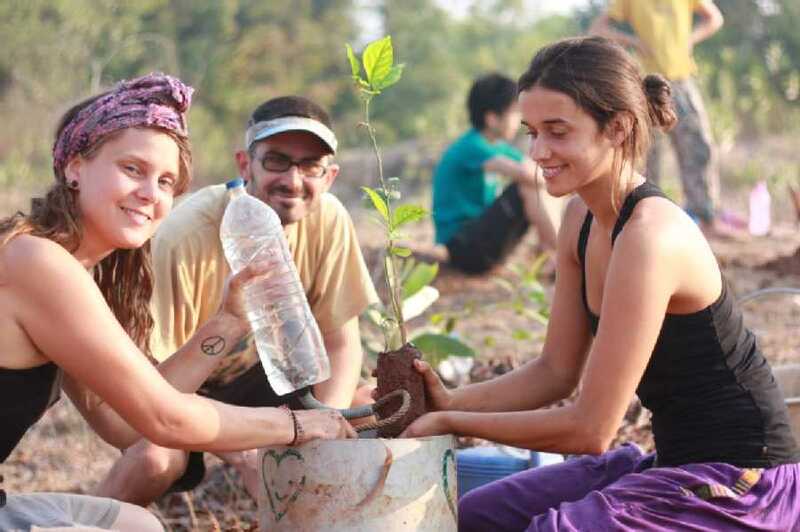 Volunteering in Sadhana definitely requires stamina - you wake up before the sun, do your morning stretches and then you are out in the forest, digging, mulching and planting. After that you might do some kitchen work or cleaning of the compound. Food is all vegan and you must be able to commit to not smoking for all your time there. So, there are some challenges for sure, but the reward is worth it. The work is fun and of real value to the enviroment and the communities around the forest. the staff is great and in your free time you can enjoy many activities offered by your fellow volunteers or in Auroville. Sadhana was a meaningful experiance for us, and also just fun! We have great memories and hope to have an opportunity to come again and learn more about ways to live an alternetive and aware life."